What better way to enjoy some outdoor fun and see surrounding nature than by going horseback riding in Missouri? Look through this guide and see the great trails that you can go on. Check them all out now! Cold Water Ranch Resort has horseback rides available by the day or an hourly basis. They have horses or trail rides with your own horse. Their quite romantic place offers amenities and exceptional service for everyone and the adorable horses. They'll provide a map with over 250 miles of trails marked and point you in the direction of the most exciting and most popular trails. The rates are very reasonable at $17 per stall and 2$0 per site, per night. If you're not part of an organized ride the meals are $10 for breakfast, $10 for a sack lunch and $15 for dinner. 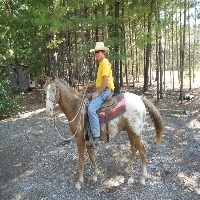 Trail rider packages are available for about $47 per day/person with campsite, meals and stall. The package includes the evening meal the first day when you arrive and ends with breakfast the last day. During your visit, a guide will be available for free. However you may still ride on your own to discover Cold Water Ranch Resort. Horses at a unique old style stable facility! Cross Country Trail Ride offers beautiful creatures at the Jack Fork River, Cross Country trail ride. 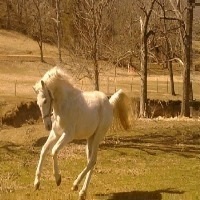 It's also best equine vacation in the state at very reasonable rates. They require both heath papers currents Coggins on all out of state animals. MO residents will only show Coggins papers. 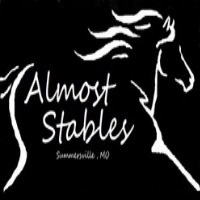 Admission fee will include three meals a day, campsite with electric hook up, water hook up also for some areas, unlimited use for their indoor arena, and daily entertainment including horse show, dancing, tack sale, horse sale, swimming, Nashville entertainers and organized rides each day. But you need to provide your own facility such as sleeping facility, horse, tack, feed, hay and bedding. They have feed, bedding and hay available to purchase if you don't have it. Come and experience horseback riding! 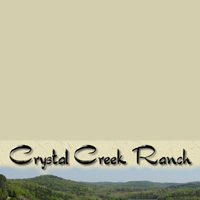 Crystal Creek Ranch brings the presentation of natural beauty and diversity of the land. Learning about interacting with plants, animals and a ranch environment provides so much fun for all ages, understanding of our historical relationship with Mother Nature. All guests are welcome to enjoy the horseback riding trails. They're open daily till dusk, Saturday evening around 6-8pm. This place offers many beautiful extraordinary colors and sights to take in while having horseback trail rides. They realize how important a period of normal family time can be, and they are honored to be partners with some organizations to be able to offer a free mini-vacation to families dealing with unforgettable challenges. Please be their guest. They have a variety of places to stay from houses with all amenities to RV and camping areas. Come and enjoy the Ranch! 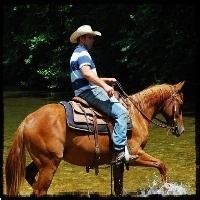 Hay Hollow Stables offers to the public an enjoyable, relaxing and beautiful experience of the Ozarks while horseback riding through wooded backcountry trails. Perfect for beginners and experienced riders alike, no rider is required to take their guided walking trail ride. Rides are usually open most days from May to October, depending on weather conditions. It's important to make reservations before visiting. 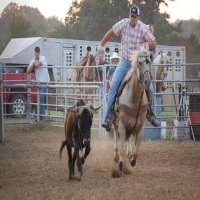 They offer very affordable rates hourly on weekday $45/ person (horse) weekend @. Half day 3 hours per person (horse) $90 weekday and $100 weekend. Everyone is charged for the number of horses as well as number of hours. They offer rides if the temperature is between 50 to 90 degrees and there is a weight limit of 275 pounds. Horseback riding for beginners is so much fun! Rancho Dos Amigos brings a great experience for families, friends and loved ones. Their cozy cabin is the perfect place for everyone to revive, relax and rejuvenate for everyone who wants to commune with nature and enjoy the beauty and solitude of the town. 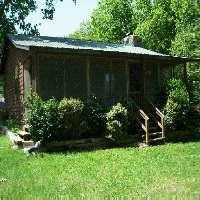 Everyone is invited to come and stay here and explore the wonders and uniqueness of the spectacular Ozarks Mountains. This is an excellent place for special retreats for your loved ones. It is a quiet and romantic place ideal for honeymoons, vacations, reunions, meditation, healing and spiritual renewal. Enjoy breathtaking and majestic scenery! Almost Stables offers a great desire to allow everyone to look into methods and management of their dream. They welcome everyone as a family and truly love what they do as well as the time spent with each other and the animals too. Almost stables started in 2012 when many friends and family told them they're not just a "stable". Find out why family and friends say that! This place has been blessed with a wonderful home on 85 acres of beautiful MO land. They have chicken, turkey, goats, sheep, pigs and percherons. They used to raise, train and sell them. Everyone is welcome to enjoy the place and they love to serve and continue to learn on a daily basis. They believe that every day is a gift as well as a challenge. Go horseback riding through beautiful landscape and paths at luxury valley! Huzzah Valley is an exciting and exhilarating adventure. 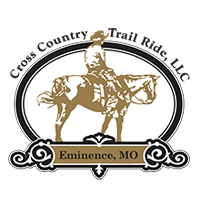 Experienced and novice riders will be very comfortable as they ride along some of the finest Ozark's trails in the hills and valleys surrounding the resort. From a very relaxing 1 hour horseback ride to a twilight ride, there's riding packages at very reasonable prices. 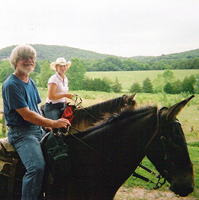 Make time to take a trails ride to see the beautiful Ozark Mountain countryside. Huzzah Valley has been serving everyone since 1979, outfitting trips on the Huzzah Courtois and Meramec River. They're sharing their love and knowledge for outdoor activities with guests of all ages, providing an experience that will last for a lifetime with their exceptional service. Their mission is to provide safe, quality and best possible service while helping to protect and maintain the quality of Mother Nature. They have friendly and professional staff and a gorgeous campground surrounded by some of the most beautiful scenery. Horseback ride is perfect way to explore! West Plains Horse Training offers training open to the public so that you can saddle up and ride. There are two weeks spent in ground work in the round pen before hitting a trail and two weeks of riding in the round pen, arena over training courses and trail riding. Learn how to catch the horse, stop it on command, go on command, how to do the ground work, rein, walk, trot, canter and run on command and to be a knowledgeable rider. One of the most intense sports known to man! Silver Nickel Arena was built and opened in 2009 by Randy and Cody Nickels. The arena is 130x230 with good lightning. The place also has a very nice concession building that contains clean bathrooms and showers. They maintain a relaxing family atmosphere and hope that everyone can come out and enjoy horseback riding and Ranch Ropin. They have weekly events, every Friday night at 7pm. They also offer the coolest campsite contest along with events. The cowboy classics will be also awarding a prize for the coolest campsite, so everyone can have some fun. Entry fee is $250/ team ($50/rider) including the camping, all 5 riders entered in all 4 events, weiner roast, biscuits and gravy. Limited on first 50 teams to submit paid entry for each event. Horseback riding adventure that suits your riding level! Meramec Farm Cabins brings laughter to all guests while experiencing the pleasure of country living in their cozy cabin in town. There are several riding trails with the grace of Ozark's MO hills, valley and along the bank of the pristine Upper Meramec River. This place is located on the bend of beautiful, spring-fed Meramec River. It's truly an amazing setting for all season meadows graced with wild gorgeous flowers in the spring in cool caves within the towering Villander bluffs, wooded hillsides splashed with autumn's red, orange and gold. No matter what the season, the beautiful nature always remains awesome, with peace to discover far away from some struggles of everyday life. It's the perfect place for a vacation and to have fun!